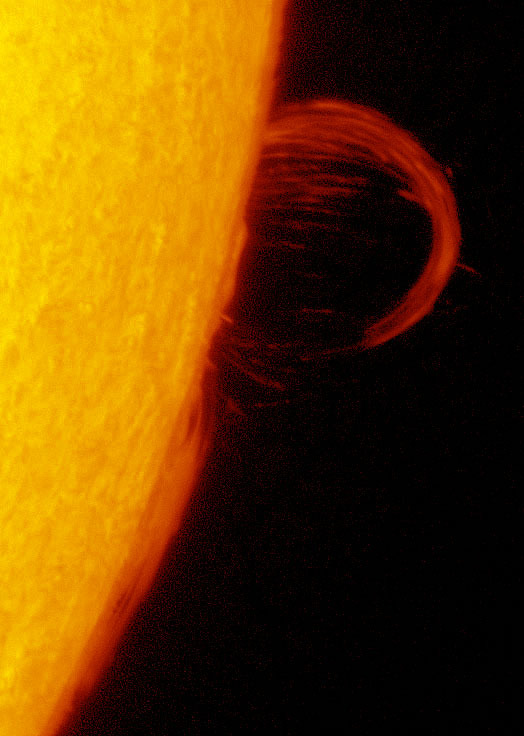 Decent sized proms on Oct 9 - SolarChat! All images were taken with a Lunt 152 + Quark Chromosphere and Blackfly S 5.1 Mp camera. 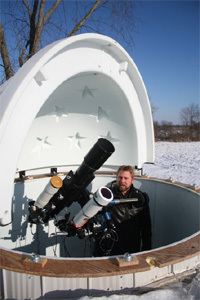 The larger scale images used a 1.5X barlow. I had a half hour of moderately good seeing before the clouds rolled in. Last edited by gabrieli on Tue Oct 09, 2018 11:54 pm, edited 1 time in total. Wow Lou, these are excellent, very close to "double stack" quality suppression on the continuum, impressive! Just a Quark? I use the Quark to double stack the Lunt 152. If a "double limb" appears, it's the result of separating a single image into disk and prom layers and processing them separately. Last edited by gabrieli on Wed Oct 10, 2018 11:21 am, edited 1 time in total. Great prom shots, Lou. Very 3D ! great images Lou, I will have to try my quark with the LUNT152. Thanks, everyone, for the views/comments. Very nice prom shots, Lou. Looks like a good combination.